Hot on the heels of the 4-0 collapse against Walton and Hersham in the FA Cup, Brighton faced Don Megson’s high-flying Bristol Rovers at the Goldstone. It was an encounter that happened exactly forty years today, on 1st December 1973. Enjoy once more Norman Gall’s rather blatant fouling on the first goal, while still getting nowhere near Alan Warboys. Or that hopeless ‘defensive’ wall on the free-kick. Or the amazing 55 yard back-pass at the start of the second half! Strangely, all the goals in this game were scored by players in Albion shirts. This was because Bristol Rovers’ red and white away kit was deemed by ITV’s producers to be too similar to Brighton’s blue and white shirts, for those watching in black and white. That Albion were ailing before Clough took over is beyond doubt. But has the latest emetic proved too much of a purgative? It would appear so. The stomachs are too weak for the Clough medicine, which wasn’t exactly sweetened after the 8-2 thrashing by Bristol Rovers – the heaviest home defeat in the history of the club. This is the only tangible explanation I can offer after this second astonishing collapse in the space of four days. Albion are clearly the sick men of the Third Division – a disturbing state of affairs in a town famous for its health-giving ozone. Doctor Clough may have arrived too late to prevent Burke and Hare carrying off the body. The Walton and Rovers defeats, which must be bracketed together, are frightening to portend. Albion are back to square one – not for the first time – and the consequences of failure by a club so heavily in the red do not bear thinking about. Clough can never have thought his Brighton venture would turn out like this. When he emerged from speaking to his players the anger was concealed by the controlled pitch of his voice. He did his best not to sound too much like the man engaged on mission impossible. To rebuild is his task, and in view of the massive structural weaknesses, he has to demolish the very foundations of the side and begin afresh. In the process Albion will lose more matches, but never, let it be hoped, surrender as they did against Rovers. It doesn’t matter very much what Clough says, although his shattered players hang on every word: it is the remedies he applies that count. But he makes it clear he will not be rushed into quick signings. “I was ashamed for the town and the club that 11 players could play like that. I feel sick. We were pathetic. This side hasn’t got enough heart to fill a thimble. There are no magic wands,” he said. Clough has, in his fashion, leaned over backwards to speak up for his players. But what happened between Wednesday and going out against Rovers did not provide the necessary stiffening for a match with the Third Division leaders. In these two matches Albion were unrecognisable. The haircuts follow Clough’s own severe tonsorial style. Now the players look like a mission from the Hare Krishna temple. Shorn of their locks, they must don the hair shirt and do penance. Clough’s shock treatment pushes players through and beyond the pain barrier. This was done with Ken Beamish in the Chesterfield match when he returned to the field with an ankle injury. Bert Parker, the physiotherapist, who has assisted the club for some time, protested and no longer attends matches. The players know that to go down now is not to take a breather, although to be fair to Beamish on this occasion he was out for the next two matches. But it illustrates my point that Clough is turning the Goldstone upside down in the firm belief that this is the only way to put the club on its feet. Paradoxically, Clough is right. The process will continue to be painful but there must not be so much destruction as to take the club into the Fourth Division. The hangover from this chastening by a fine Rovers side is bad enough. To Rovers goes the credit for a club record League win and a new Third Division mark of 19 straight games without a defeat. To Colin Dobson, freed by Albion when a broken ankle looked like ending his career, the accolade for a thinking player. He masterminded the operation in unbelievably generous space. Bruce Bannister knifed through for the early, killing goals, and Alan Warboys, superbly balanced and fast on the slightly frozen pitch, looked the perfect striker, taking his four goals so cleanly. The fifth, sixth, seventh and eighth goals were from Warboys, Bannister the first, third and fourth. He knows the eight-goal feeling well enough… ask Bournemouth. Three years ago he helped Bradford City beat them 8-1, but at least on Valley Parade. What happened at the Goldstone was the worst home defeat in the Football League since Wolves scuppered Cardiff 9-1 at Ninian Park in a First Division match in 1955-56. Five minutes: Dobson set it up. Warboys streaked down the left wing, beat Gall near the bye-line, and BANNISTER timed his run splendidly to fire the first goal, 0-1. 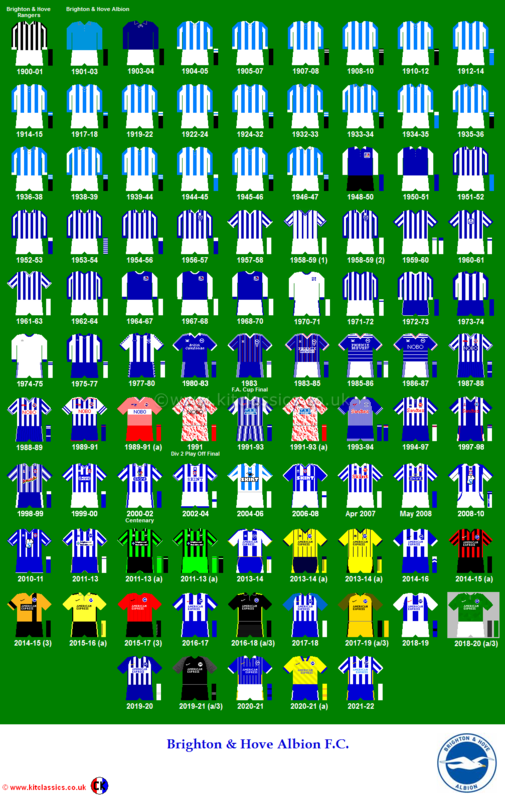 Twelve mintes: Dobson again seeing situations light years before Albion. He took Warboys’ pass, and laid on a pinpointed centre for FEARNLEY’s header. Twenty minutes: A deceptive shot by O’SULLIVAN that swerved and kept low gave Albion a brief hope of checking Rovers, 1-2. Twenty-nine minutes: A strong overlap by Jacobs spelled danger when Ley missed his tackle and from the cross BANNISTER’s head did the rest, 1-3. Thirty-two minutes: Powney failed to hold a hard, low free-kick from Warboys, and BANNISTER tapped the rebound into the net, 1-4. Thirty-nine minutes: Another Dobson centre, and WARBOYS started his own personal rampage, 1-5. Fifty-five minutes: Bannister the goalscorer turned goal maker by laying this one on for WARBOYS, 1-6. Sixty-three minutes: WARBOYS went through on a pass from Parsons like a thoroughbred. Out came Powney, but he had no chance, 1-7. Seventy minutes: Albion appealed for offside against WARBOYS but he went on strongly, 1-8. Eighty-seven minutes: A floating Towner centre, and RONNIE HOWELL banged in a well-taken goal, 2-8. Albion: Powney; Templeman, Ley, Spearritt, Gall, Howell (R), Towner, Beamish, Hilton, Robertson, O’Sullivan. Sub: Howell (G) for Ley (withdrawn), 45 minutes. Bristol Rovers: Eadie, Jacobs, Parsons, Green, Taylor, Prince, Fearnley, Stanton, Warboys, Bannister, Dobson. Sub: John. With his acceptance of such dire football, it’s probably good enough reason for Nigel not to be allowed anywhere near the Brighton manager’s position! A week after the match, Albion were thrashed 4-1 at Tranmere before succumbing to single goal defeats against Watford and Aldershot. Brighton slipped to 20th position in Division Three, one place above the drop zone. 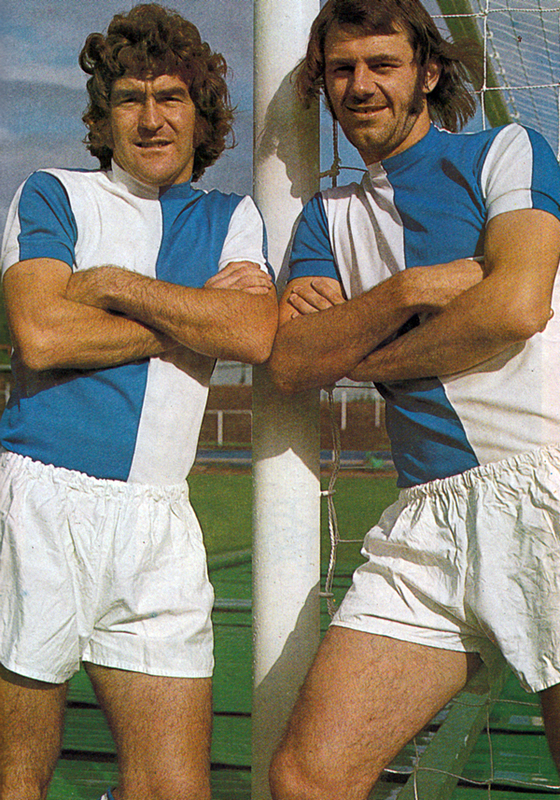 As for Bristol Rovers, their fine form continued. Unsurprisingly, they were promoted with a game to spare. Rovers finished the season with the return fixture against Brighton. Rovers fans expected another humbling of Brighton but it never materialised. Albion’s Lamie Robertson opened the scoring after a neat one-two with Ken Beamish on 19 minutes. It took Bruce Bannister’s late penalty to level the score.